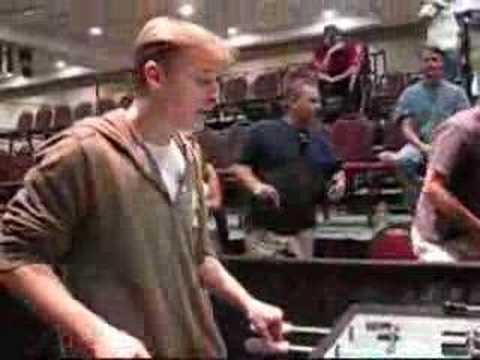 Some video of an Open Singles match between Billy Pappas and Tommy Adkisson at the 2008 Tour Kick Off. 3:00 Min. ????????????? ?Goalie War ???????Arner(?) vs ??Luke(?)????Arner????? 3:40 Min. ????????????? ?Non-Stop ???????Arner(?) vs ??Jannbao(?)????Jannbao????? 4:20 Min. 2Ball'n! 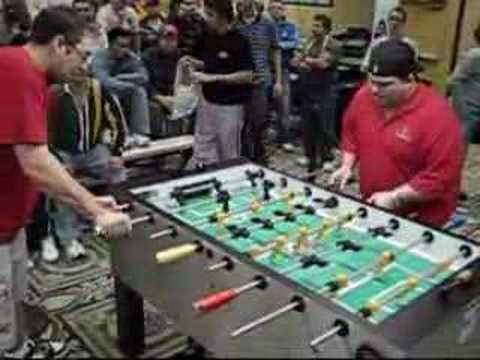 Collignon & Moore vs Pappas & Atha at the 2008 Tornado World Championship Series of Foosball in Las Vegas, Nevada. 2Ball'n! 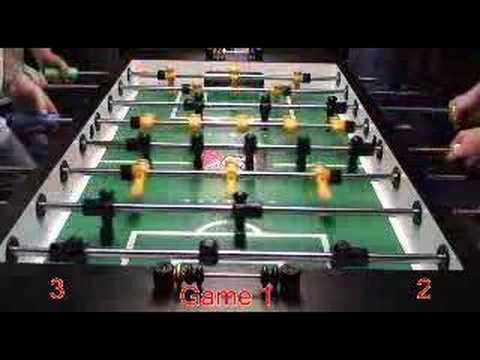 Collignon & Moore vs Pappas & Atha -2008 Worlds- Game 2 5:37 Min. 2Ball'n! 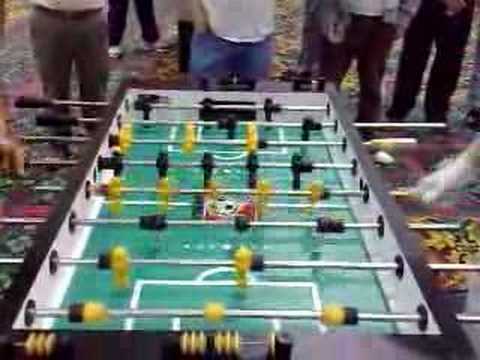 Collignon & Moore vs Pappas & Atha the 2008 Tornado World Championship Series of Foosball in Las Vegas, Nevada. Game 3 7:35 Min. Amateur Womens Doubles Finals pt. 2 of 2 - 2008 Colorado State Championships in Denver, Co. 7:01 Min. This video short captures the excitement of the 2009 World Doubles Final from Nantes, France, as Robert Atha and Joe Hamilton won the title for Great Britain. Germany's Tim Ludwig and Dirk Wahl finished second in this exciting championship match, which was decided by a score of 8-6 in an amazing final game. 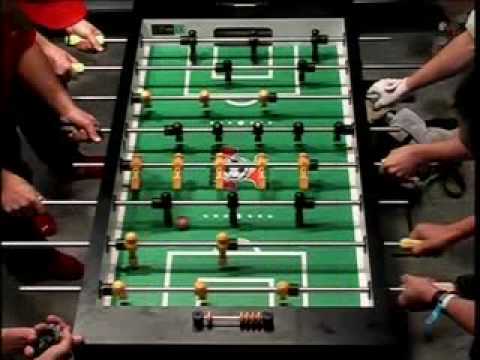 To see the entire match, and all of the 2009 World Cup action, go to http://www.insidefoos.com and order the 10 hour DVD set. 9:59 Min. 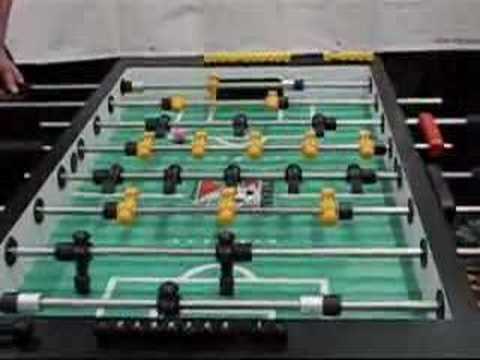 The first ever banking tournament on a Tornado table was held at the 2008 Hall Of fame Classic in Las Vegas, Nevada. With a field of 16 and spectators gallore(LOL), yours truly somehow ends up on top to be crowned the 2008 Banking Champ! 4:40 Min. 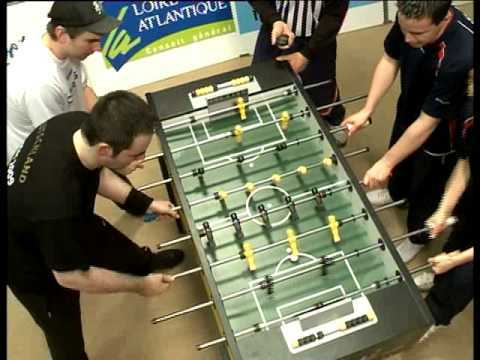 Frédéric Collignon`s first open single match after qualification in Las Vegas Hall of Fame 2008; plays against a pro from US. Robert Mares/Mike Bowers vs Billy Pappas/Dan "City" Watkins Colorado State Doubles Final Game 1 8:08 Min. 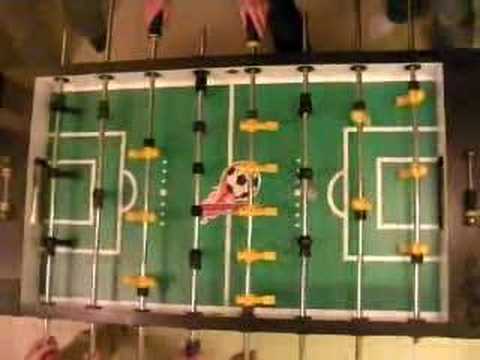 petit entrainement de fred en simple a las vegas 1:41 Min. 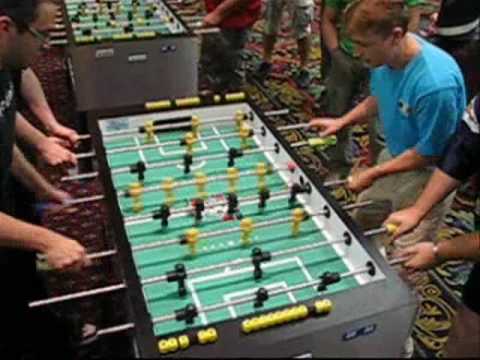 Tommy Adkisson and Fredrico Collignon messing around at the 2008 Hall of Fame Classic in Las Vegas, Nevada. 2:10 Min. Men's Doubles: Collignon/Saban versus Ariganello/Dunn 9:53 Min. Women's Doubles: Head/Duquette versus Gyore/Szendel 1:57 Min. Open Singles Final: Pappas versus Mares 4:07 Min. Todd Loffredo played the event entirely in the forward position as the world champs did not lose a single game on the way to the title. 4:45 Min. 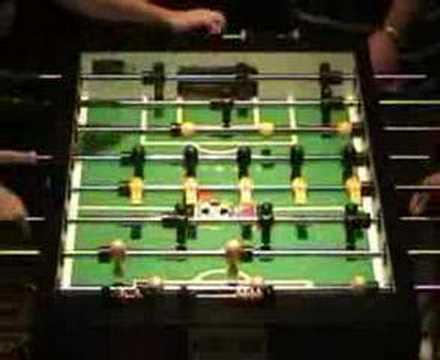 In the third game of Open Mixed, Belgian Fredrico Collignon and Louisiana's Joy Steward find themselves behind against the mighty Texan Tracy McMillan and his partner Petra Koncz from Hungary at the 2008 Hall Of Fame Classic in Las Vegas, Nevada. 3:59 Min. 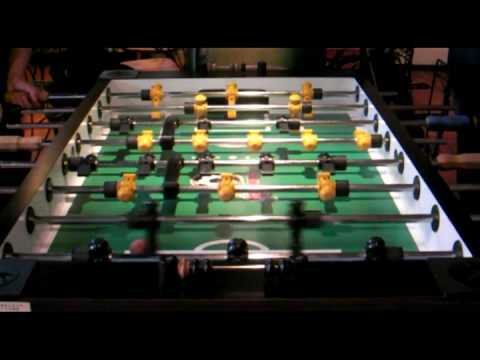 Some footage of Fredrico Collignon vs. Billy Pappas at the 2008 Hall Of Fame Classic at the Rivieria Hotel and Casino in Las Vegas, Nevada. 9:06 Min. 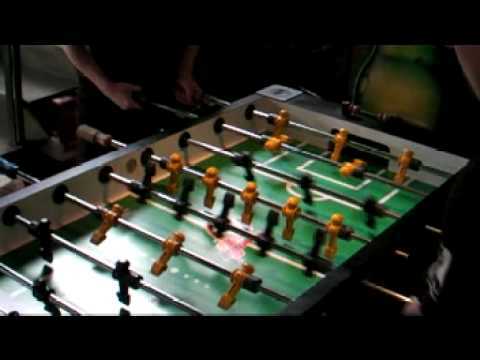 Tony Spredeman played some of the best foosball ever seen at the recent Tornado World Championships in Las Vegas. 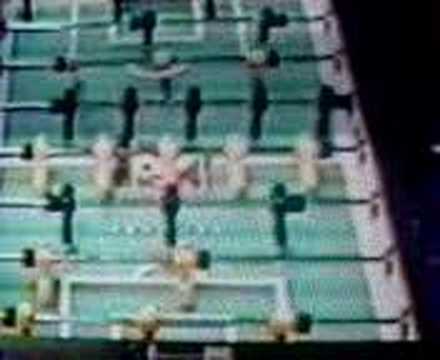 He defeated the world's top player, Frederic Collignon, in a match that will be talked about for many years to come. 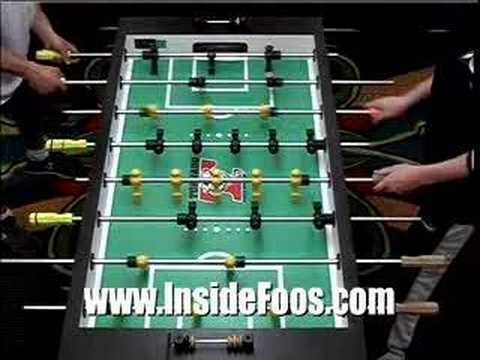 To see the full match and 10 hours of exciting WCS action on DVD go to www.insidefoos.com. 7:25 Min. 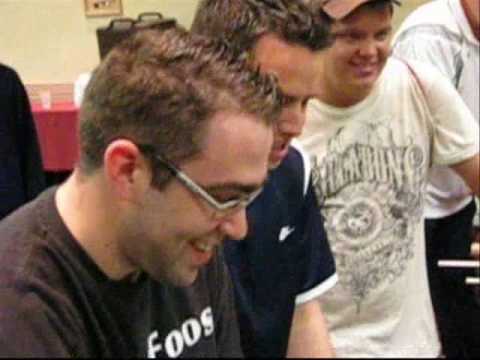 Tony Spredeman faces Stephen Santomassimo in this Open Singles highlight from the 2008 United States Open in Atlanta. 5:38 Min. 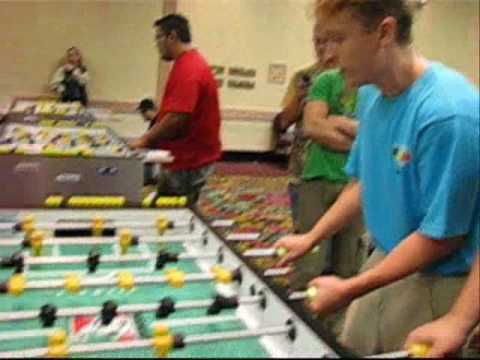 Second game of the best of 5 Open Singles match between Tony Spredeman and Track McMillin at the 2007 Tornado World Championships. 9:49 Min. Tracy Brubaker & Tommie Bagley vs. Stacie Fowler & Shelly Langley at the 2008 Hall of Fame Classic in Las Vegas, Nevada. 7:13 Min. Tracy Brubaker & Tommie Bagley vs. Stacie Fowler & Shelly Langley at the 2008 Hall of Fame Classic in Las Vegas, Nevada. 9:17 Min. Just right top of my table 4:32 Min.